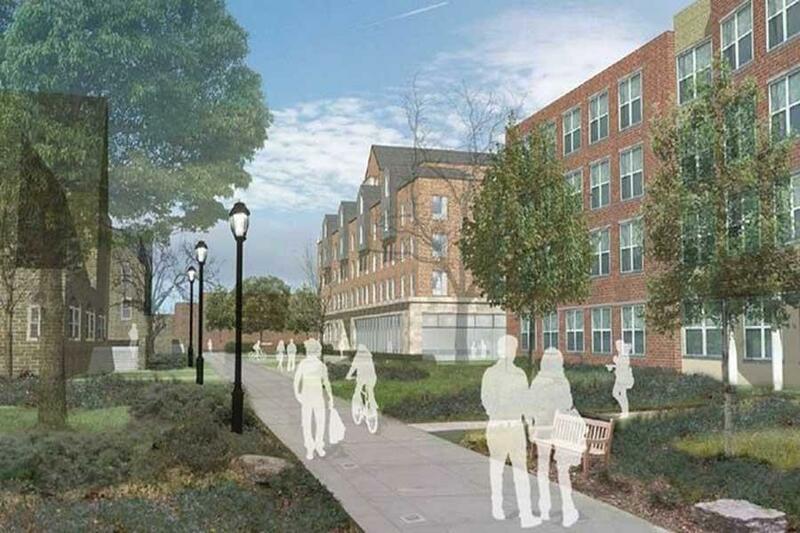 A rendering of the new residence hall being built at 560 Lincoln Ave. Architectural firm William Rawn Associates was selected to build the new building by the University following a competitive bidding process. Northwestern has selected Boston-based architectural firm William Rawn Associates to design and construct a new residence hall at 560 Lincoln Ave., the first to be built since 2002. The University created an FRQ — a request for qualifications — and put out a bid for the design and construction work to between eight and 10 firms that had experience building student housing, said Paul Riel, executive director of Residential Services. After reviewing the submissions, NU invited three to four firms to campus to present their credentials and visions for the building, he said. William Rawn Associates received the bid from the University at the end of September. Riel said important questions asked of the firms included topics like whether they had time for the project and their experience building on other campuses, with the University reaching out to other campuses to evaluate the quality of the various firms’ work. According to its website, William Rawn Associates has built residence halls at 15 colleges and universities, including Tufts University in Boston and Washington University in St. Louis. The design for the new residence hall features seven floors with a total of 422 beds in suite style, with each suite including its own bathroom. All floors will be gender-neutral. Open to all students, the residence hall will support Residential Services’ mission to create community on campus by featuring three large multi-use spaces on the first floor and double-height — meaning shared between two floors — lounges, Riel said. “The notion is that community is happening on each floor,” he said. Other amenities include laundry facilities on every floor, an elevator and free printing for the building. Part of the 10-year Housing Master Plan, the new residence hall will host students from other halls as they are renovated or demolished. The current plan will see students from 1835 Hinman and Jones Residential College living at 560 Lincoln Ave. in 2017-18, Communications Residential College and International Studies Residential College residents in 2018-19 and Foster-Walker Complex residents from 2019-20. Riel said new construction on campus always takes environmental factors into consideration; a building certification of LEED Silver is NU’s standard, with some buildings achieving the higher certifications of Gold and Platinum. Several environmental standards that will be featured in the new residence hall include thicker window panes to prevent heat leakage, availability of bicycle racks and technologies to track energy use. Riel, who previously has worked on building projects as large as 3,000 beds, credits the experience of his partners at William Rawn Associates as well as that of his colleagues with the success of the project so far. Construction on the new residence hall will begin at the beginning of 2016 and aims to be completed by the start of the 2017-2018 academic year.